Each cell holds a transparent sheet (animation cel). Cells are composed in vertical layers. Each horizontal line represents a frame. Different layers for images, camera or sound are available. This makes editing an easy and flexible task. 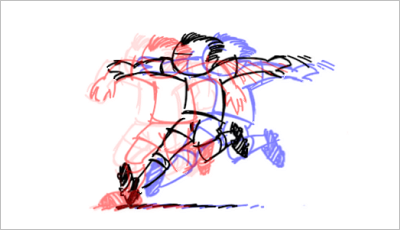 Create camara moves by setting keyframes for animating parameters for X-pans, Y-pans, zooms, rotation, blur and opacity. 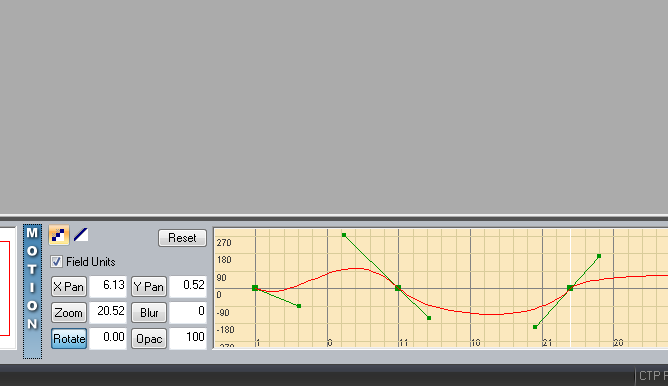 Editing the parameters can be achieved by changing values, or dragging the function curve, or the animated object directly with the mouse. 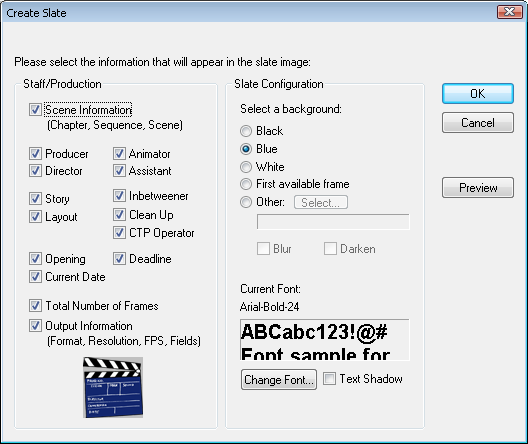 CTP allows to create and insert slates. Usually, slates are used at the beginning of a scene. The slate contains various information about the scene and usually serves as a guide when the scene is archived on final media. Import drawings using a scanner, or a webcam, or existing files. 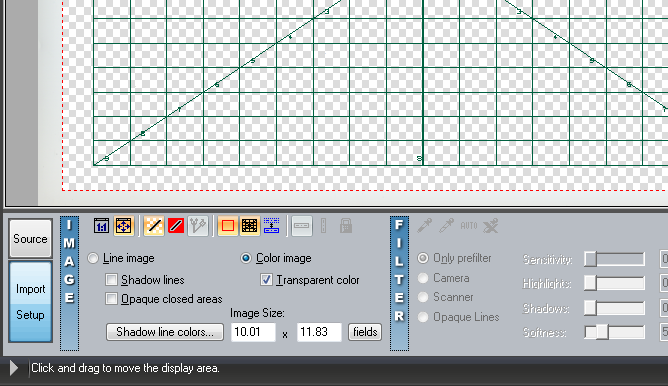 Plenty of tools are available to explicitly prepare, edit and filter the raw materials while importing. CTP supports onion skinning. 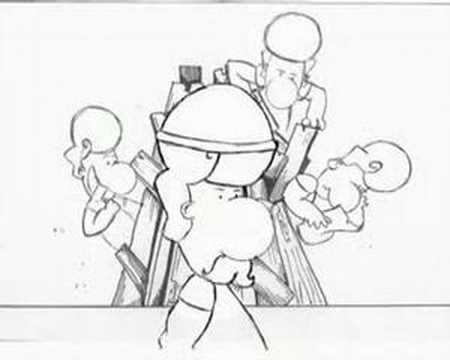 Onion skinning is a term for a technique used in animated cartoons to see several frames at once. 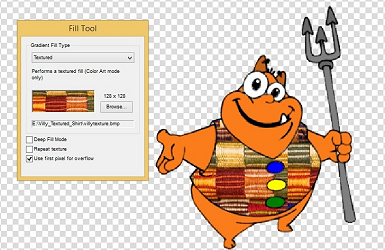 This way, the animator can make decisions on how to create or change an image based on the previous image in the sequence. CTP Pro offers a quite nifty fill mode called Textured Fill. What it will do is to fill a specific area with a user specified texture file, that can be any graphic or pattern you like. 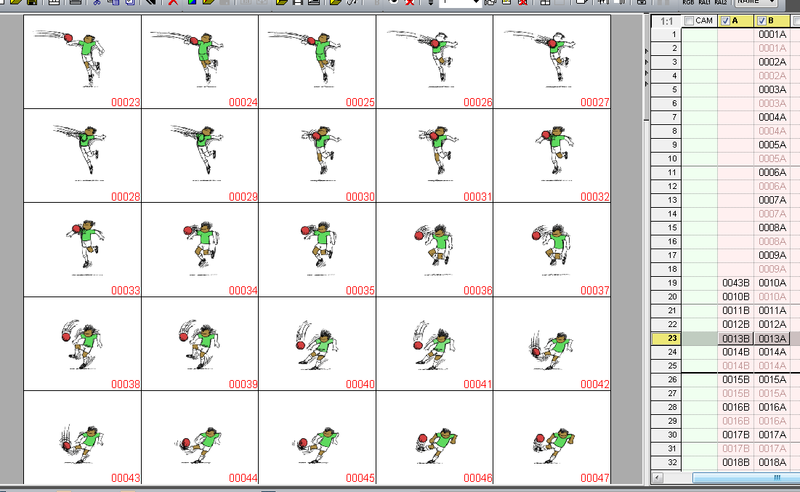 CTP allows you to preview your animation as flip book, showing a sequence of up to 25 frames. 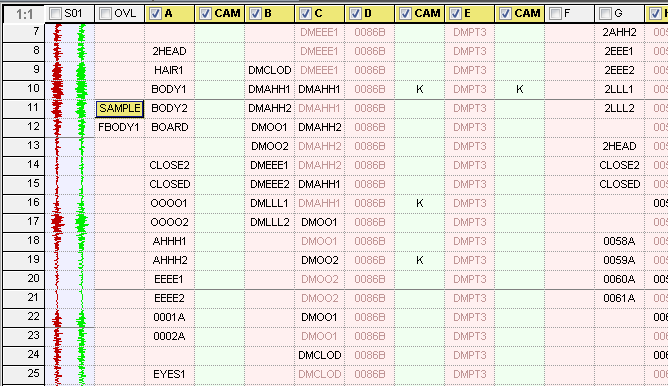 This can be useful if you would like to do a frame by frame quick check without having to render anything. 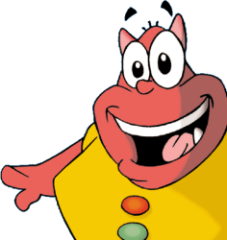 For all cartoon animators and those who would like to become one! With some simple clicks, cartoonists will achieve what previously took several hours. 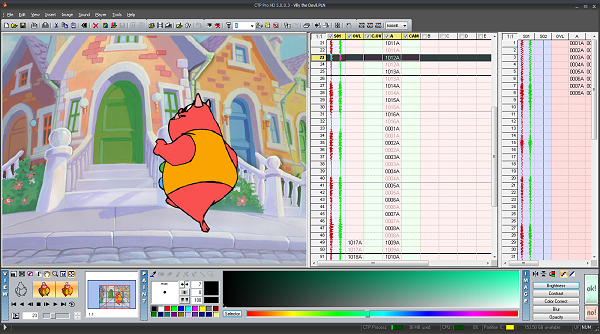 With CTP Pro, "cartoonists" can accomplish the entire production process from start to end, and become full sequence producers this way. To run CTP Pro, you only need a standard Windows 10, Windows 8/8.1 or Windows 7 computer, a webcam or a simple scanner and a graphics tablet, if applicable.